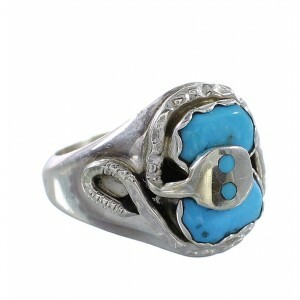 The Zuni of western New Mexico have been known for their expert stonework for hundreds of years. 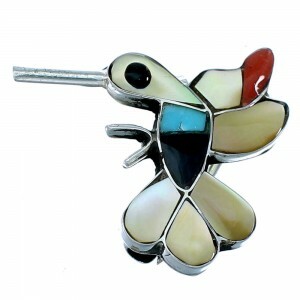 The earliest known pieces include animal pendants and wooden combs. 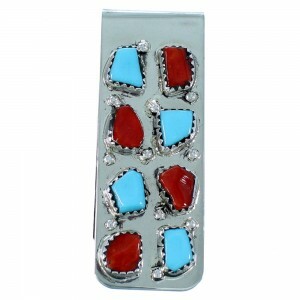 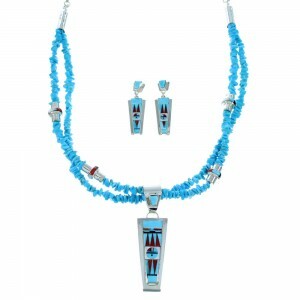 Much of the early Zuni artistry feature small pieces of decorative turquoise gems and jet stones. 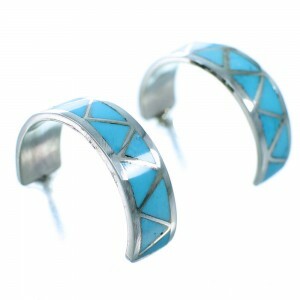 Stonework was the basis for the beginning of Zuni jewelry. 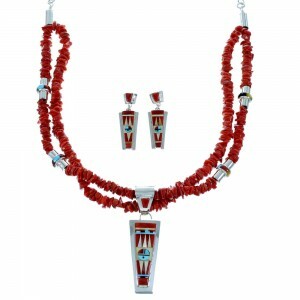 Using stone, antler tools, cactus spines, and other wooden and stone tools, the Zuni would create jewelry and other art to trade with Native and Non-Native groups. 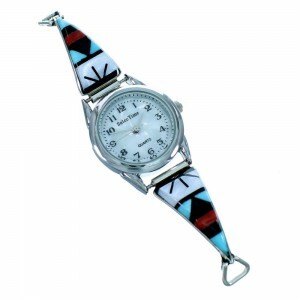 Much of the Zuni jewelry and art is influenced by the patterns and styles of basketry and traditional pottery. 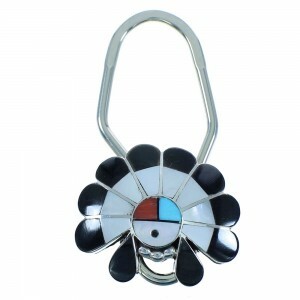 The most reflective practice from this is their “cluster” work within jewelry. 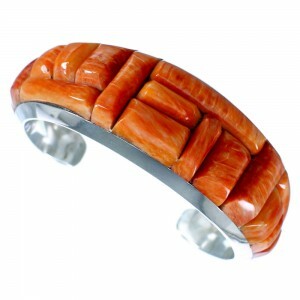 This includes using precise techniques to arrange shells, wood, gems, and silver into close-knit patterns. 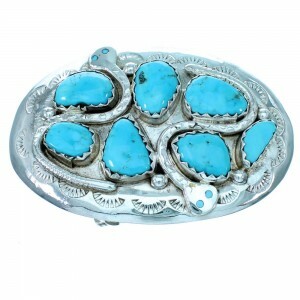 In addition to their historical contribution to stonework, the Zuni were the second Native American group to learn and adopt Mexican silver-smithing techniques for artistry. 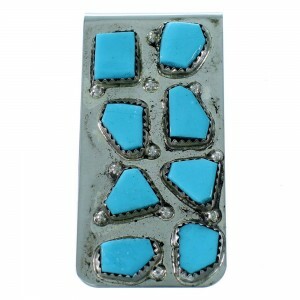 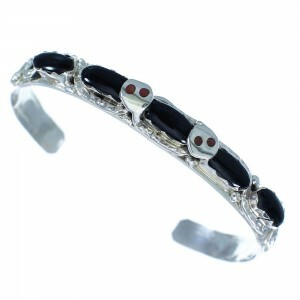 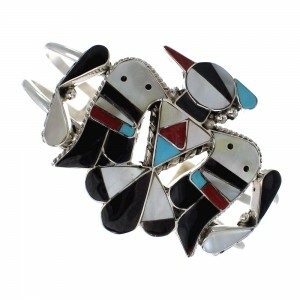 Since working with silver, it has become the primary basis in Zuni jewelry. 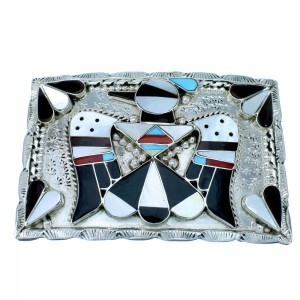 Combining the working of silver-smithing, today the Zuni are best known for their inlay style jewelry. 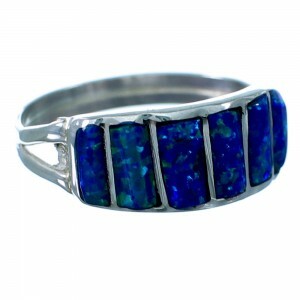 This encompasses the technique of using multiple stones to form an image, and using the silver as a “soldering” technique to craft the image into place. 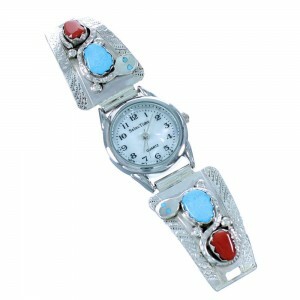 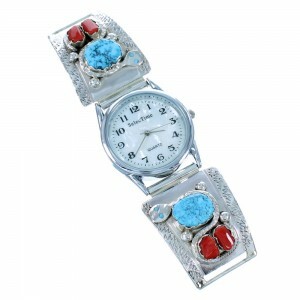 Most commonly, the Zuni artistry features animal and traditional symbols in turquoise, coral, onyx, and opal gems. 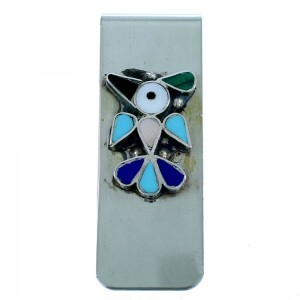 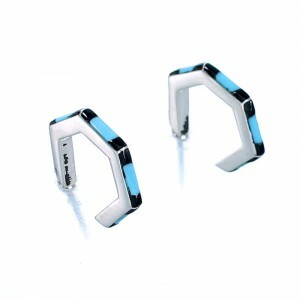 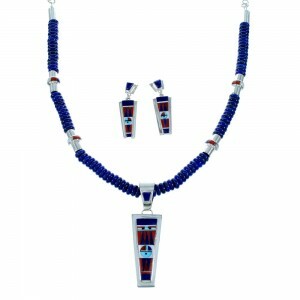 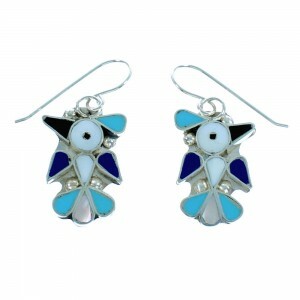 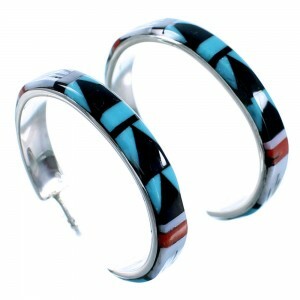 On NativeAmericanJewelry, you will see a variety of inlay Zuni pieces that range from earrings to money clips. 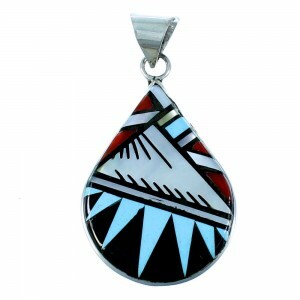 Each piece is representative of the Zuni culture history with the delicate molding and fitting of precious gems into sterling silver. 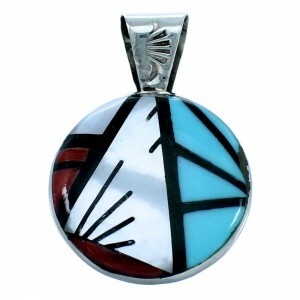 Truly, Zuni jewelry is a beautiful combination of historical art creation and traditional symbolism for anyone to enjoy. 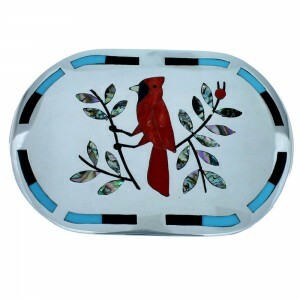 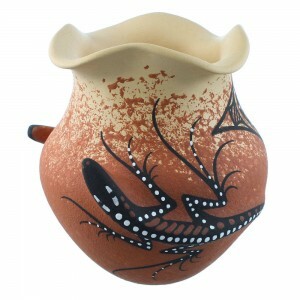 We encourage all visitors to browse the unique and imaginative art from the Zuni tribe.